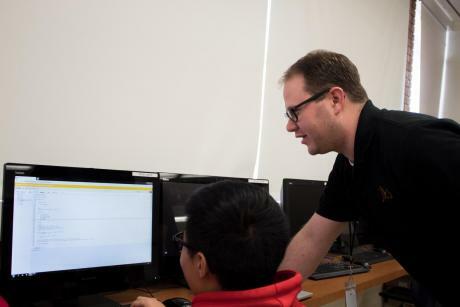 This year, Mr. Peter Strawn ’04 returned to the Jesuit High School family as an AP Computer Science Principles, AP Computer Science A, and Algebra 1 teacher. 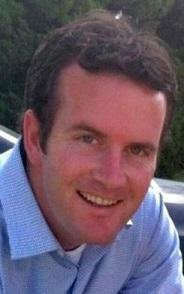 After graduating from Jesuit in 2004, Mr. Strawn attended the University of San Diego to pursue a degree in English. He eventually went on to receive his master’s in English from California State University, Sacramento. 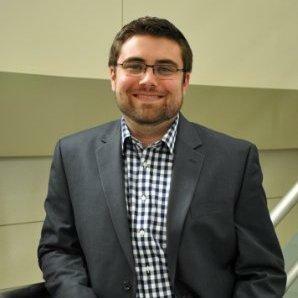 Physics teacher Mr. Lawrence Simon ’13 is one of the newest members of our staff at Jesuit High School. Just like other faculty alumni, Mr. Simon once roamed the halls as a student. However, physics did not come to Mr. Simon naturally. 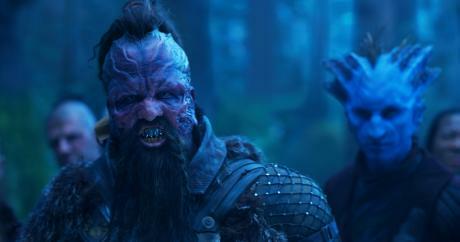 Buy your tickets now to see Chris Sullivan ‘98 as Marvel Comic’s villain “Taserface” in Guardians of the Galaxy Vol. 2. Check out Chris on the official Marvel site, as well as his interviews with Pop Sugar and Access Hollywood. 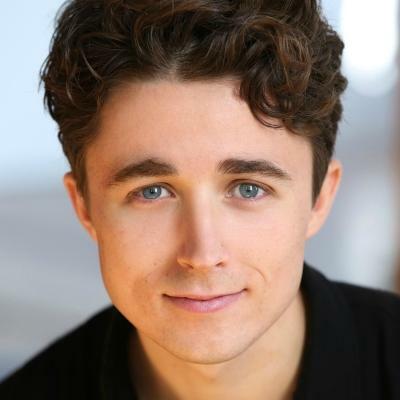 This spring, Riley O’Toole ‘10 (Three Musketeers, Frogs) stars as Jason/Tyrone in Hand to God, Robert Askins’ Tony nominated “Best Play” at the Salt Lake Acting Company. 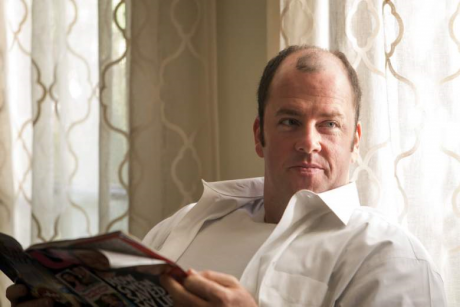 Riley O'Toole in "Hand to God"
Congrats to Chris Sullivan ‘98 on his fantastically successful run in Season 1 of the hit NBC show This Is Us. We can’t wait for Season 2! 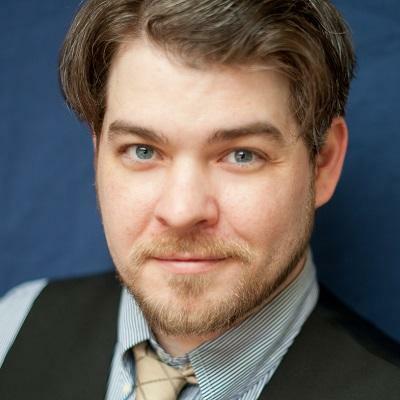 Jesuit Drama alum John Sanders ‘95 (Macbeth, Ten November, My Fair Lady) has a featured role in the American premiere of Groundhog Day: The Musical, a London import based on the popular film of the same name. 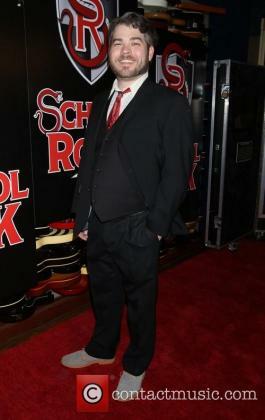 Jon Wagner ‘97 is back on Broadway having recently returned to the Andrew Lloyd Webber hit School of Rock. 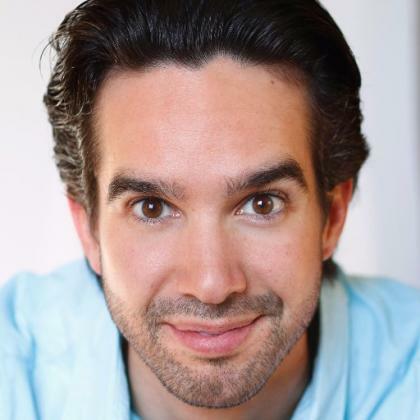 See Andrew Perez ‘05 as Pedro, the barber, in the classic musical Man of La Mancha at A Noise Within. 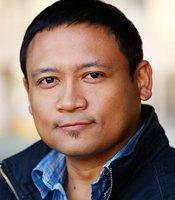 Drama alum JR De Guzman ‘04 (Batboy) just landed an NBC deal for his stand up comedy. 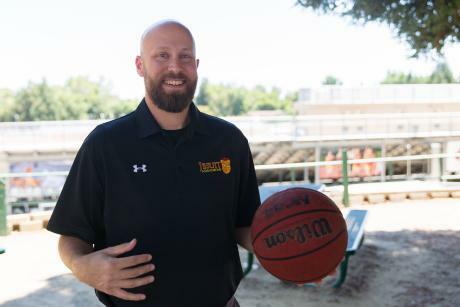 Check out what he’s been up to by reading the Sac Bee article “No joke: He’s about to see his career go big” here. 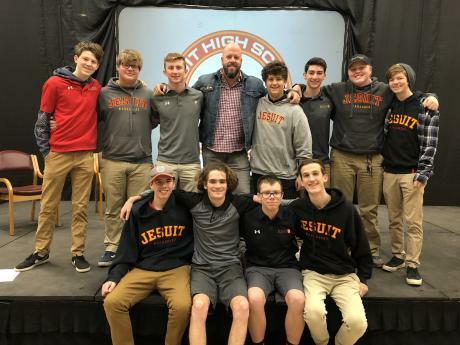 Congratulations to Jesuit Drama alum Scott Klier ‘89 who was just named Producing Artistic Director of California Musical Theatre (CMT), one of the area’s largest non-profit arts organizations that produces the Broadway Series and Music Circus. Please read the Sacramento Bee announcement that’s linked below. Also, check out the CMT website. 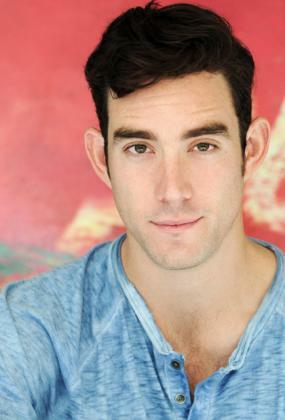 Congratulations to Matt Huffman ‘93 on making his Lincoln Center debut this month! 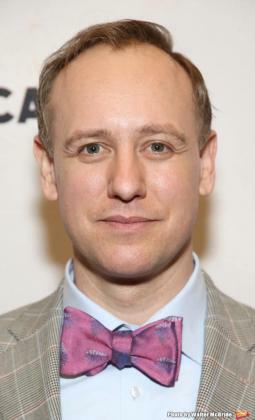 John Sanders ‘95 is currently on Broadway in the smash hit musical “Matila” playing “Mr. Wormwood,” Matilda’s father, a used car salesman with a few scruples loose. Click below to visit the Broadway site. 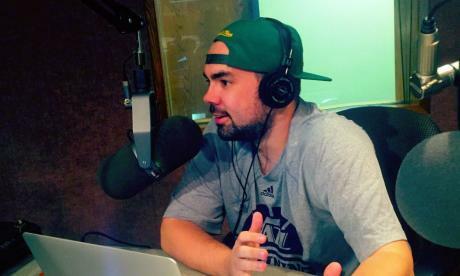 See Brian Rivera '94 in "The King and I"
The Milwaukee Brewers today announced that Jeff Levering will join the organization as the newest member of the Brewers radio broadcast team. 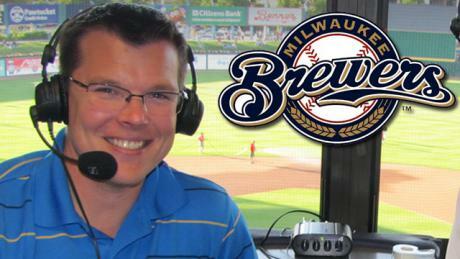 Levering will serve as a play-by-play broadcaster on select road games on 620 WTMJ and the Brewers Radio Network, as well as provide content for the Brewers online, social and new media channels. Whether you graduated in 1967, 2014, or anytime in between, Jesuit’s campus has changed significantly since you were a student here. Of all the images you might have of how a major league pitcher spends his November, this probably is not the first one that comes to mind: J.P. Howell squeezing himself into a kid-sized rocking chair, turning the pages of a colorful storybook, smiling before a room full of children he has never met. 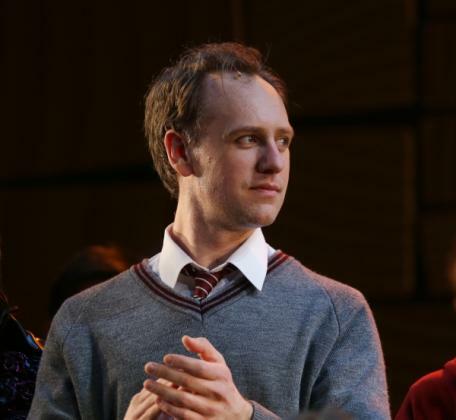 Andrew Lloyd Webber's "School of Rock"
Jon Wagner ‘97 is making his Broadway debut in Andrew Lloyd Webber’s musical adaptation of the film School of Rock. In addition to being in the adult ensemble, he is understudying the lead role, the role of the unconventional teacher played by Jack Black in the film of the same name. To find out more about the show, please click the link below. 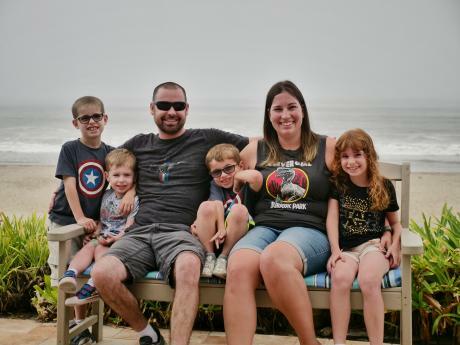 Congratulations, Jon! Here’s to years and years of hard work and faith…not to mention wonderful talent! 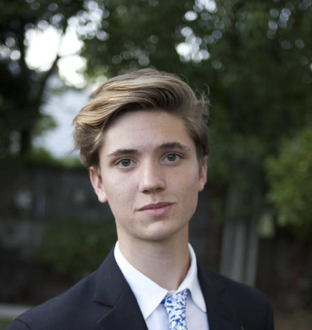 ANDREW ROGERS ’12 was a finalist for the Silicone Prairie News SPA Student Entrepreneur award in recognition of his creation of JayClean. Partnering with Creighton University and Max-I Walker in Omaha Nebraska, JayClean provides dry cleaning services to University students, faculty, and staff. Creating a unique opportunity for students to learn outside of the traditional classroom environment JayClean is managed and operated by students at Creighton University and seeks to promote future entrepreneurial businesses at Creighton University. 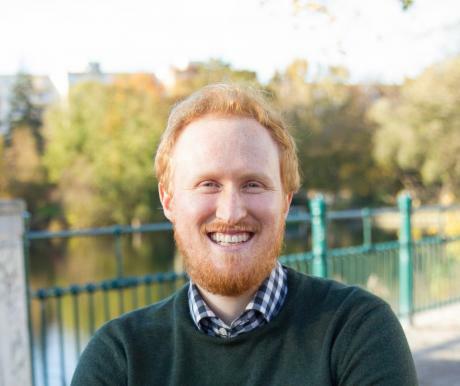 You may recognize the face: it’s “Newton Carruthers,” fictional, local television spokesperson, performed by Jesuit Drama alum and improv talent Greg Sabin. 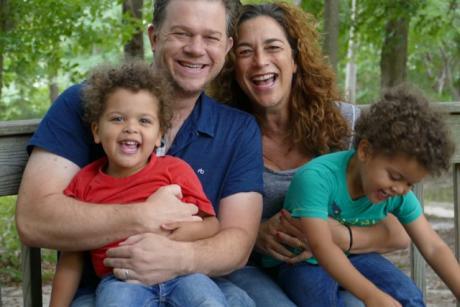 Turner Sparks ‘00 Comedy Comes to NYC! Turner Spark ’00 Comedy Comes to New York! 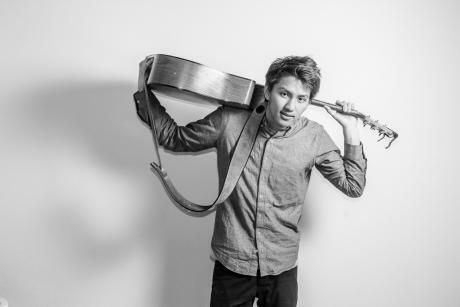 Turner, who lives Suzhou, China, started his comedy career in 2009 by founding Mainland China’s first standup comedy group – “Stand Up China” and has won international comedy competitions all over the world. Before taking the stage in 2009, Sparks founded Mainland China’s first American ice cream truck when he brought New Jersey’s “Mister Softee” trucks to China. 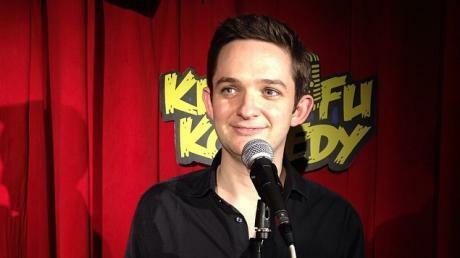 Turner will be bringing his comedy to the Big Apple in late May. 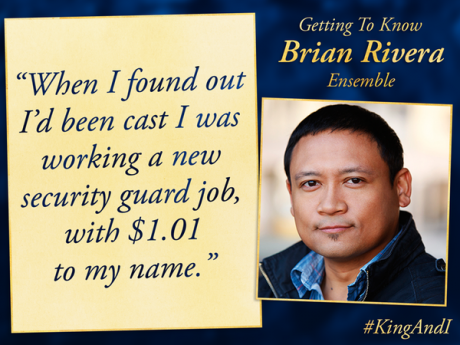 New York dates and locations are: Wed, May 27 – Gotham Comedy Club, 208 W.
Brian Rivera in Lincoln Center's "The King & I"
“I was completely amazed by their production and so I started trying out for the shows,” Rivera said by telephone from the Mime Troupe’s San Francisco office. 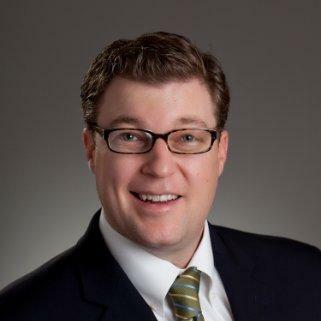 After a comprehensive national search, it is my pleasure to announce that John Michael Wood ’99 has accepted my invitation to serve as Jesuit High School’s next principal beginning July 1, 2015. In 2009 cofounded Hathway, an agency with 2014 revenue of $6 million that helps brands develop mobile applications and campaigns. 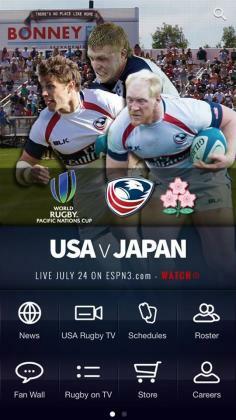 Agency has nearly 50 employees and offices in San Luis Obispo, CA, and Tokyo. 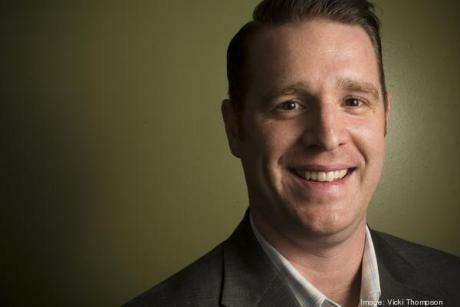 Clients include Behr Paint, Applied Materials and Transamerica. Hathway ranked No. 601 on the 2014 Inc 5000 in recognition of 791% revenue growth over a three-year period. 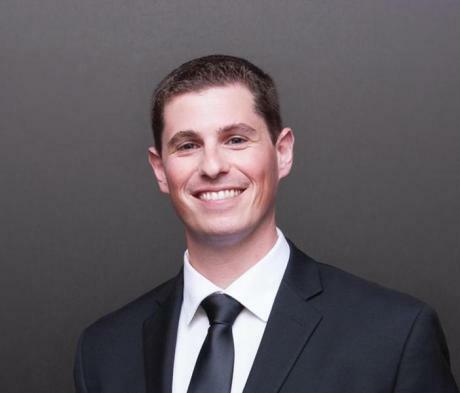 Dundon is a member of the Cal Poly Industrial Technology Advisory Board. Jesuit High School set the foundation forMatt Cain’s drive for success early on. 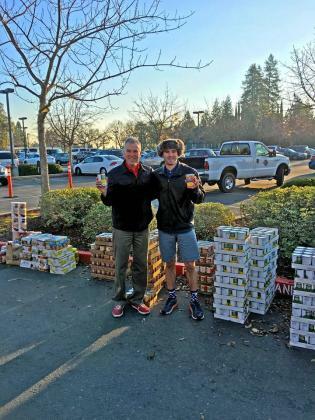 The school’s mission for students to be “A Man for Others” challenged him to a lifelong learner and leader in service to others. We know … we know—he was selected ahead of Dan Marino in the 1983 Draft. But the greatest quarterback in New York Jets history (not named Namath) had a rifle for an arm, oodles of confidence and a couple of Pro Bowl appearances. Plus, he’s got one helluva Herschel Walker story. 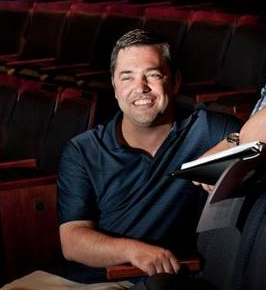 Congrats to Jesuit Drama and Ed Trafton ‘84 for their shout-out in the Sacramento Bee’s recent “2014 highlights” article. Read Bee theater critic Marcus Crowder’s full article which is linked below. 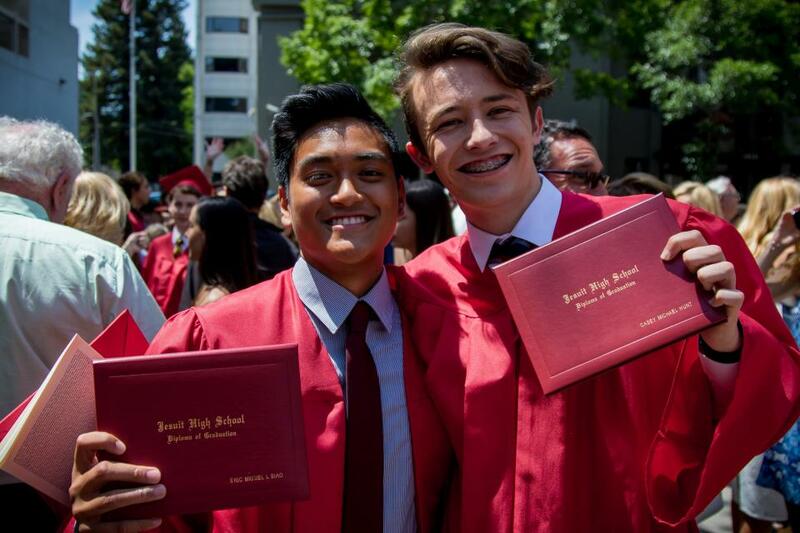 Please submit your photos below to see them posted on the Alumni Website and Jesuit Magazine! 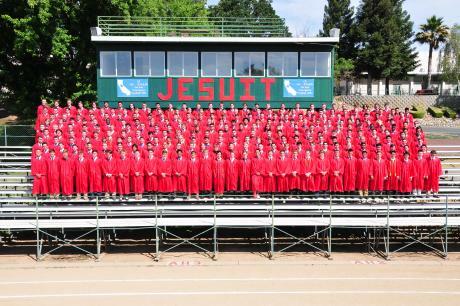 By submitting your photos online you are granting Jesuit High School permission to use and reproduce these photos as we see fit.